Black granite is famous for its durability, beauty and strength, which is why our laser-etched feature panels and displays are great for improving the look in hotel foyers, public monuments, commercial offices, galleries and clubs. Our anodized aluminium signs and panels etched with beautiful and complex images of motifs, photos and text work improve the look of any hotel foyer, sign board, commercial office, club and similar places. 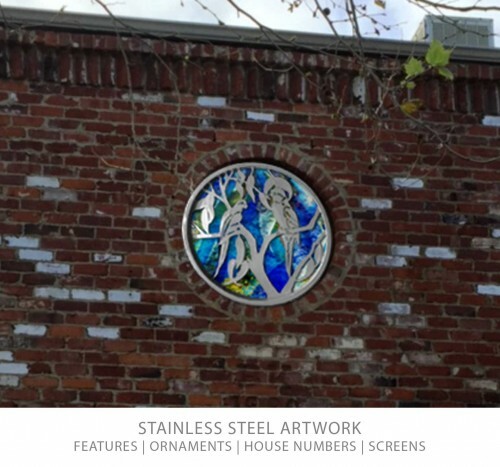 We have stainless steel feature panels and displays in various shapes and sizes to use in hotel foyers, public monuments, commercial offices, galleries and more. With different laser cutting methods, we can inscribe motifs and letters through the stainless steel face plate so that it either reflects or transmits light. 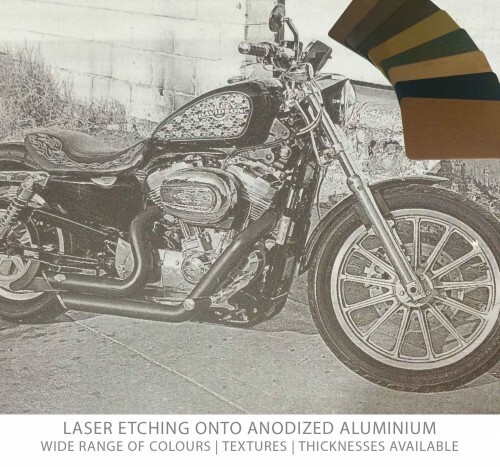 We create laser-etched acrylic panels and displays in various sizes and shapes with intricate images, logos, photos and text to use in galleries, commercial offices, hotel foyers and shop fittings. Get rid of boring room dividers, railings and swimming pool fencing and use our glass panel range of products instead. 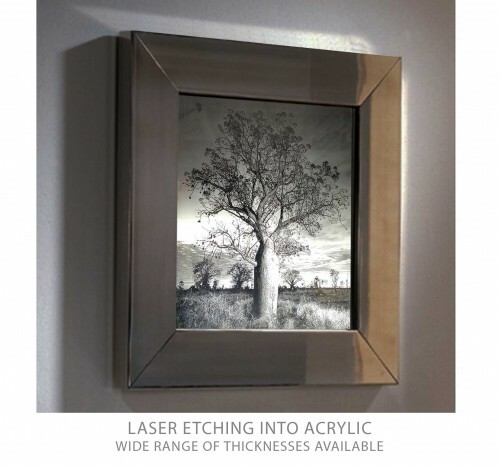 Hotel foyers, public areas, private homes, commercial offices and galleries too benefit from our glass panels with intricate and complex images and designs with white laser etching. Improve the look of your kitchen and work area with our glass splash back panel with intricate and beautiful designs. The spectacular colours painted to highlight the aspects of your design make these panels stand out wherever placed. Coloured granite feature panels, statues and reliefs help improve the ambience of your home and public places like clubs, galleries, hotel foyers and commercial offices. As granite is a natural product, the colour and pattern of the product supplied to you may vary from these samples. Liven your boring tabletops with our timber panels, tabletops and other products beautified by inscriptions burned onto the timber surface using laser. Not all timbers are suitable for laser etching. The suitable options are Victorian Ash, Tasmanian Oak, Teak and similar timbers. Show your patriotism towards Australia by including Anzac memorials as part of your interior décor. Anzac memorials commemorate all those people who had sacrificed their lives while fighting for their country. 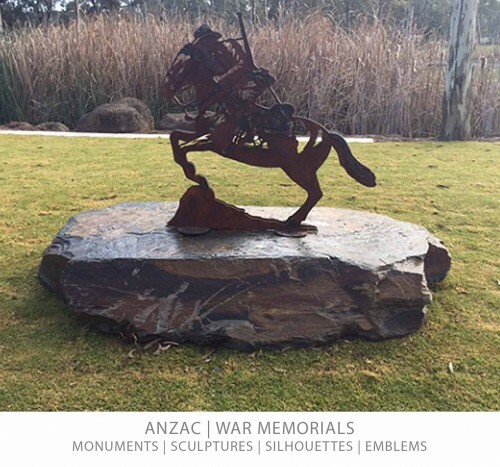 Our beautiful ANZAC memorials, sculptures, emblems, and silhouettes are durable, ever-lasting and symbolic. Custom made designs available. Perfect for Garden Memorials, RSL Clubs and War Memorials. Black Granite Panels with laser-etched inscriptions, patterns, scenes, photos, motifs. All come with a lifetime guarantee on image fade. Stainless Steel Features, Artwork, Sculptures with light reflecting and light transmitting design, more creative designs available. 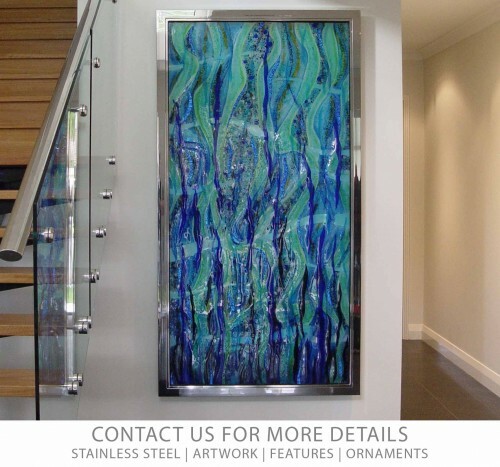 Make a bold statement with Art Glass from Forever Shining. Acrylic Panels with laser-etched inscriptions, patterns, scenes, photos and motifs. Custom designs and shop fit outs. More options available. Perfect for Photographs, Artworks, and In-Store Shop Signage. 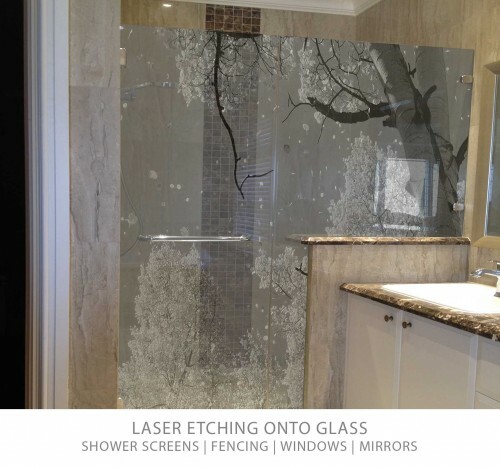 Glass Panels and Screens with laser-etched features. Many possible applications including kitchen splashbacks, shower screens, pool fences, railings/balustrading, and room dividers. Make a true statement in glass. 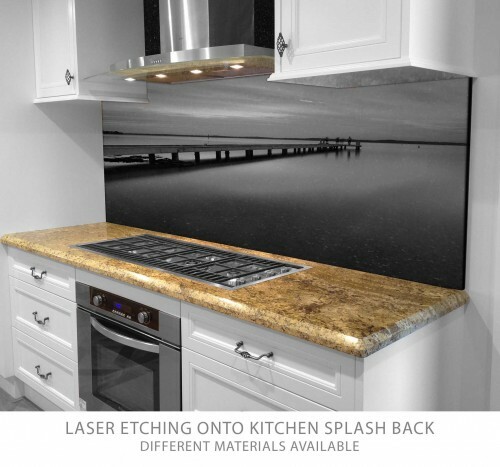 Splash back panels with laser-etching designs. Various materials available. Great for Kitchen features, pool fences, Bathrooms and more. 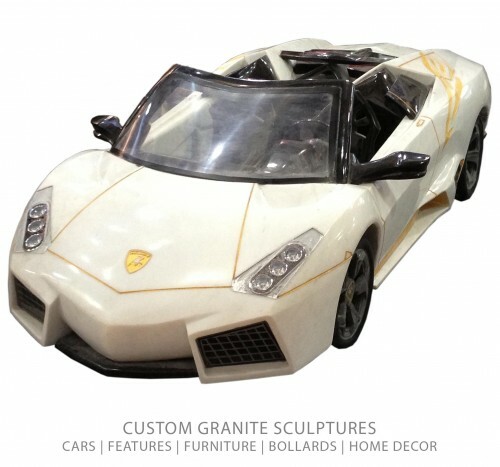 Coloured Granite statues, sculptures, furniture, bollards, monuments, artwork features, ornaments and many more granite products for interior and exterior. Built and engineered to last. Laser Etching into all types of wood, timber, Oak, bamboo, beech, pine and more. 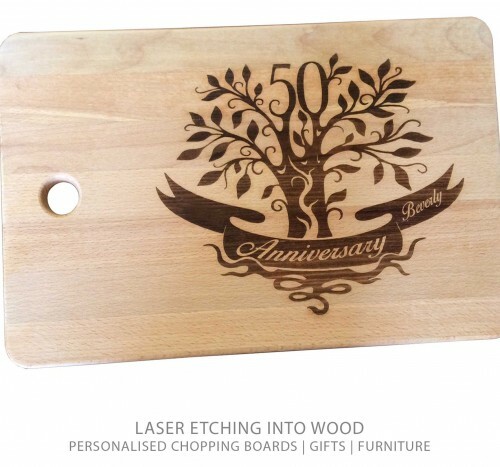 Personalised products available such as plaques, chopping boards and door stops. The perfect gift for birthdays, Father’s/Mother’s day and other special occasions.